After a head spinning 2015, our property markets started 2016 with a bunch of mixed predictions. Well…the scorecard is in for the first quarter of the year and our property markets slipped down a gear according to Corelogic, with an annual price growth rate of 6.4% over the last 12 months which, while being the slowest growth rate in almost 3 years, is still above Australia’s 10 year average growth rate of 5.%. At the same time individual performances remain patchy and mixed, both between our various capital city markets and market segments within them, reflecting the underlying impact of mixed speed economies in the various states as well as local supply and demand factors. Why Sydney And Melbourne Over Property Markets Like Brisbane Or Perth? The main reasons property values in our 2 big capital cities grew so strongly was their robust economic and jobs growth as well as massive population growth with around 60% of the immigrants coming to these two cities to chase the jobs there. Also property investors chasing capital growth have been targeting these cities, but this has now moderated. Median house price: $805,000; 7.5% increase in last 12 months. Median unit price: $645,000; 7.3% increase in last 12 months. This market is taking a well earned breather with Sydney housing prices trending downwards a little in some locations, but overall they’re up 49.2% from the previous market trough in 2012. The fundamentals for the Harbour City property market are sound because jobs are being created there and its population continues to grow strongly. George Raptis, director of Metropole Property Strategists, Sydney, says Sydney’s housing prices are forecast to reduce due to a lack of good properties in inner west and eastern Sydney suburbs. “While the media reports that the trend for (Sydney house prices) has dropped a little, and that is true, the market is very fragmented … at a time when there is still strong demand from buyers and investors. “The current lull in the property market is creating a great opportunity for both home buyers and investors with a long term perspective, but careful property selection is critical. “Our strong state economy, major infrastructure spending, strong population growth and low vacancy rates means that some segments of Sydney’s property market are likely to revive in the second half of 2016. “Homebuyers are selecting more carefully now and their decisions are being driven by lifestyle with many trading backyards for balconies in well-located apartments in Sydney’s gentrifying suburbs. On the other hand, I would be very wary of buying in the outer, blue-collar suburbs where prices are likely to fall further,” he said. Median house price: $610,000; 10.7% increase in last 12 months. Median unit price: $469,000; 2.5% increase in last 12 months. The Melbourne market continues to perform strongly with house prices now at record levels, up 35.7% since the previous market trough. Despite being less than Sydney’s housing prices trend, this is a significant increase for Melbourne. “While Melbourne home values have risen at the fastest pace of all the capital cities over the last 12 months, it’s really a tale of two cities in the one big capital,” said Kate Forbes, of Metropole Property Strategists in Melbourne. 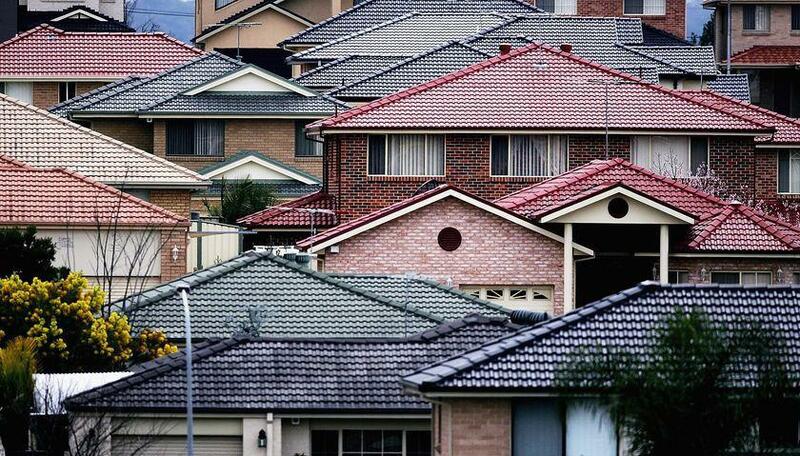 Similar to predictions for Brisbane’s property market*, Forbes comments on Melbourne’s market. “There is still a significant oversupply of new apartments in the CBD and in many of our inner suburbs plus a record number of new apartments are still coming out of the ground or on the drawing board. This will undermine capital gains and rental growth in these locations. “Yet there is a shortage of well located established homes and apartments in Melbourne’s middle ring suburbs with demand outpacing supply, keeping auction clearances high and prices strong. “Currently there are some good investment opportunities buying established apartments in Melbourne’s southern or eastern suburbs and adding value through renovations. And if your budget allows, buying a villa unit or a small house in the right suburb should deliver strong capital growth over the next few years.” she said. Median house price: $495,200; 4.9% increase in last 12 months. Median unit price: $398,00; 0.5% increase in last 12 months. Having underperformed the combined capital city averages over the last 10 years, Brisbane’s property market was tipped by many as the market to be in last year. With many significant, major construction projects underway and the 2018 Gold Coast Commonwealth Games around the corner, Brisbane’s property market is holding strong against Melbourne and Sydney in competition for property investors. While it gathered momentum and market turnover has increased, overall, the property market in Brisbane still underperformed Melbourne’s and Sydney’s last year, but is likely to exhibit similar growth to the two big capitals this year. “Melbourne and Sydney investors are beginning to consider property markets around Brisbane where price growth has lagged the southern states. With property prices around 50% cheaper than Sydney and higher rental yields, there is still a lot of upside for Brisbane properties. “Clearly Brisbane’s property market is not the hot spot that some projected (in comparision to housing forecasts for Sydney or Melbourne) meaning correct property selection is critical. In particular I’d be wary of inner city and near CBD apartments where an oversupply is looming. However, houses near the city will provide the best yields and strong growth potential,” said Davis. Median house price: $510,000; -2.0% fall in last 12 months. Median unit price: $420,000; -1.9 % fall in last 12 months. After a long period of strong capital growth, the Perth housing market has recorded a significant slowdown, being the worst performing capital city market over the last 12 months and these conditions are likely to continue with falling population, rising unemployment, transaction numbers falling, decreasing confidence centre risk of oversupply in the Perth apartment market. Perth also has the highest vacancy rate of any capital city. My expectation is that the Perth property market will fall further during 2016 but may bottom out later in the year. In my mind it is a little early to consider countercyclical investing in the Perth property market. Median house price: $443,500; 3.3% increase in last 12 months. Median unit price: $340,000; 2% increase in last 12 months. Adelaide’s housing market has performed in a steady stable fashion, regardless of what’s happening in the wider economy. The Adelaide market is insulated from the APRA related lending crackdown, as it is being supported a higher proportion of owner occupiers than investors, but there is a potential of oversupply due to ongoing construction. Median house price: $540,000; -1.5% fall in last 12 months. Median unit price: $465,000; -2.9% fall in last 12 months. Prices are still falling, but at a slower rate and they’re likely to keep falling for much of this year. I’ve always found investor driven markets more volatile than our big capital cities and that’s why I avoid them. Median house price: $361,000; 4% increase in last 12 months. Median unit price: $261,200; 13.3% increase in last 12 months. Without a big economic shift to boost employment and sentiment there is little to suggest things will change in the long-term. However, in the long short term, rents are likely to rise because of Hobart’s very low vacancy rate. Median house price: $597,500; 1.9% increase in last 12 months. Median unit price: $415,000; – 0.9% fall in last 12 months. The Canberra market is likely to have difficult year in 2016 with the political uncertainty surrounding the upcoming election affecting its housing markets. The Canberra inner-city Apartment market is still subject oversupply this is causing a weakness in overall unit prices. Real (inflation adjusted) property prices are just 3.5% above their previous peak (December 2010) in Canberra. Source of Data: Corelogic, SQM Research. Future property price growth will, as usual, depend upon economic growth and local market factors. consumer confidence – this may falter for a while once the federal election is announced. However, by the end of the year Melbourne is likely likely to be the strongest performing market followed closely by Brisbane’s property market with Sydney taking up third place.